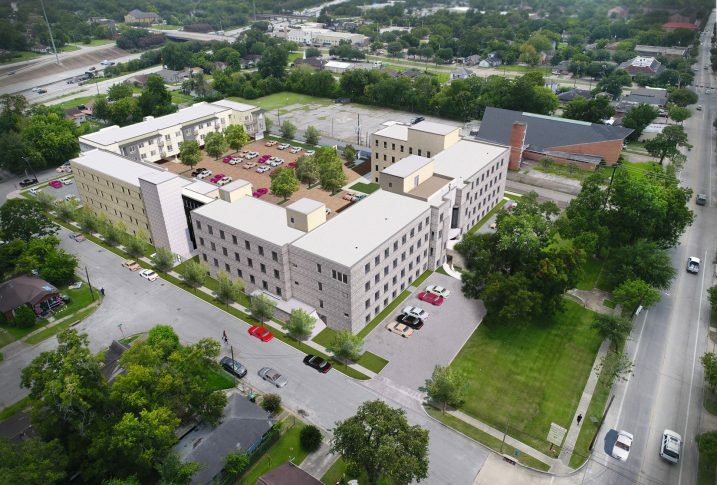 St. Elizabeth Place is a 2.5-acre site located on the Fifth Ward’s commercial and cultural corridor, blocks from Interstate 10 with views of the Houston skyline. 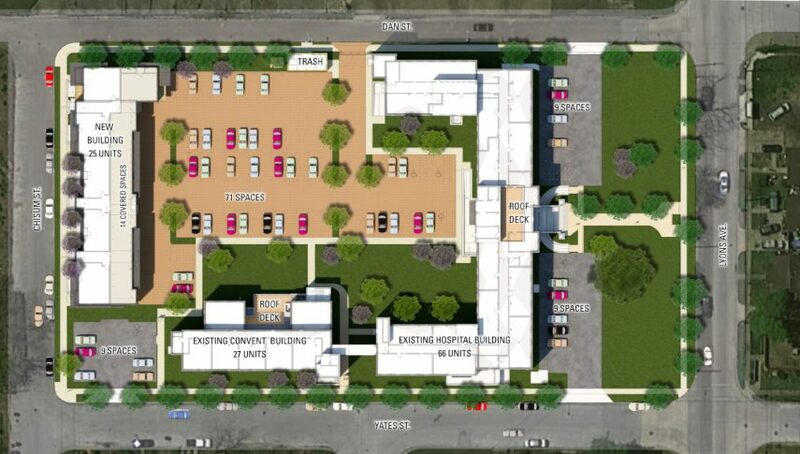 The project of 110 affordable dwelling units includes the adaptive reuse of the historic hospital with 62 units, adaptive reuse of the historic convent of 23 units, and the construction of an additional 25 unit three-story residential building. Utilizing both Historic Tax Credits and Low Income Housing Tax Credits, St. Elizabeth Place transforms a derelict property into a vibrant affordable housing community, thus helping revitalize the surrounding neighborhood. Redevelopment of this block into a residential place represents an unparalleled opportunity to reestablish the Lyons corridor as a cultural district combining business, residential, arts and culture in a collaborative environment. 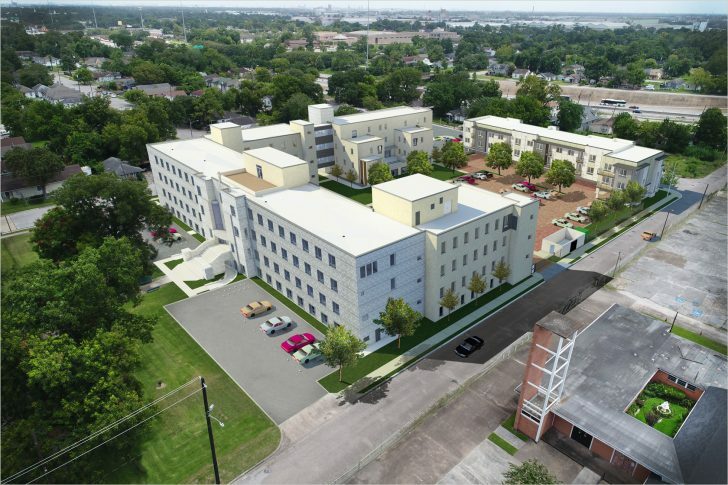 This project aims to capitalize on St. Elizabeth’s historical presence and offer a rejuvenating look at the multi-family housing block and create a transformational development on the Lyons Ave. Corridor. Historic preservation and reuse of St. Elizabeth’s Hospital and Convent. Both buildings offer roof deck patios for the residents and guests.